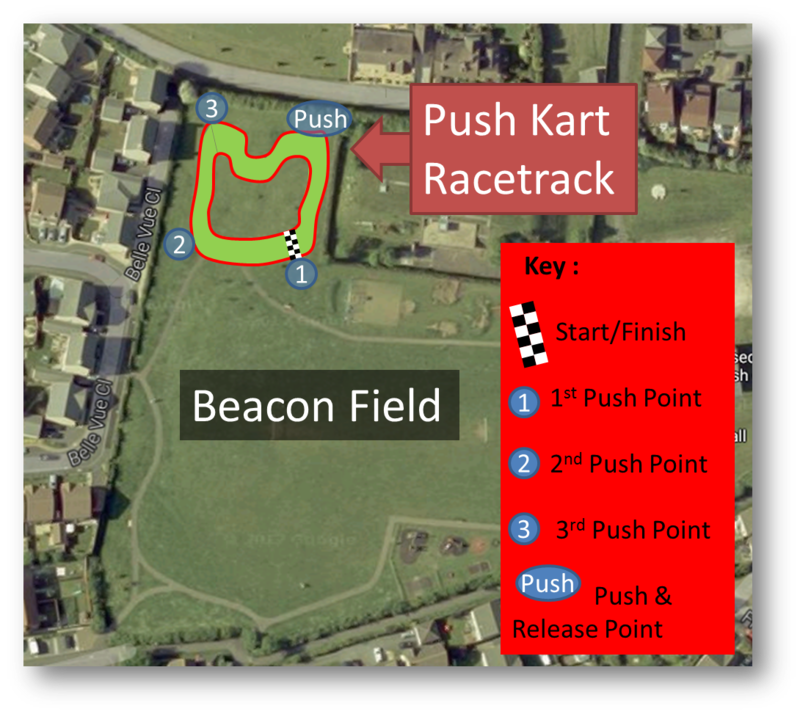 The race will consist of 3 laps of the track, as shown below. Teams will be made up of four people, three pushers and one driver. The first pusher will hold onto and push the kart to the second pusher, who passes onto the third pusher, who will then let go at the top of the slope, letting the kart use gravity for the final leg. This will be repeated three times. Two karts will race at a time, creating a winners cup and a losers cup so every team gets to race at least twice.